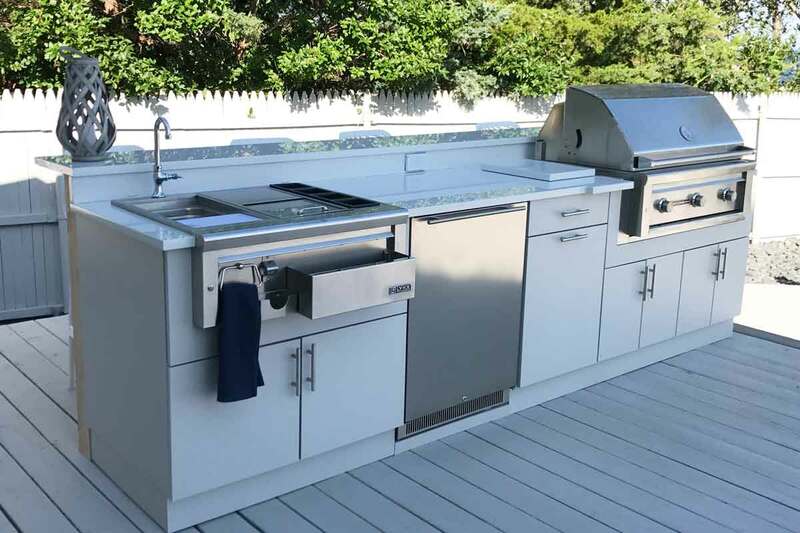 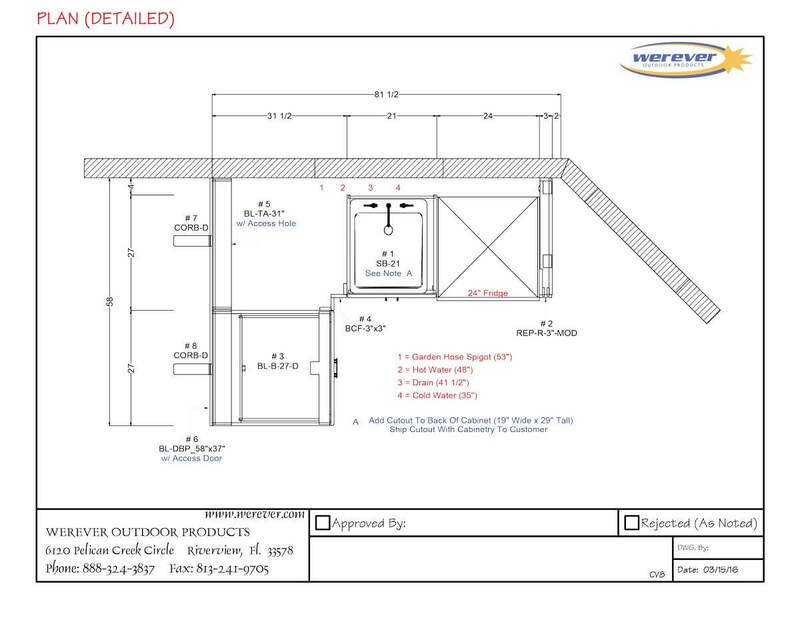 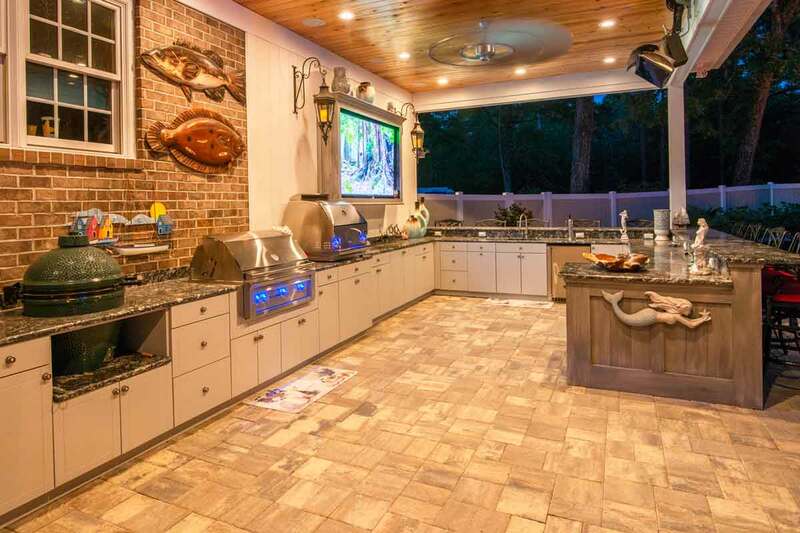 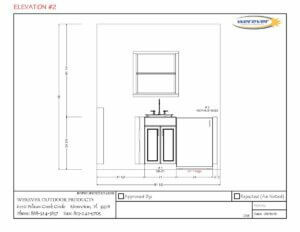 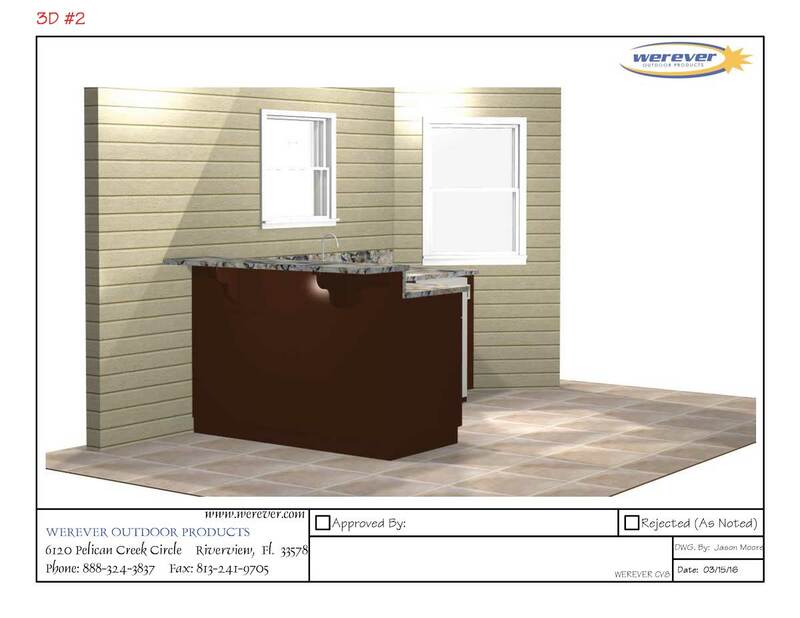 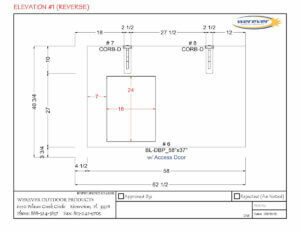 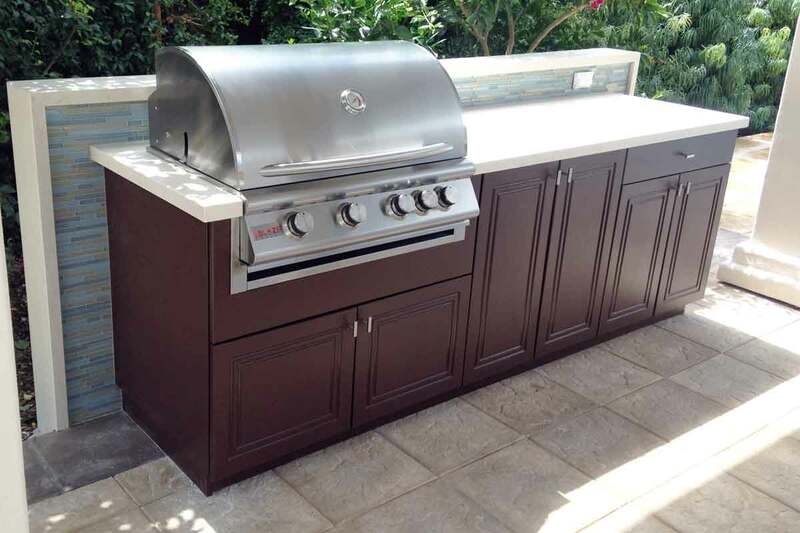 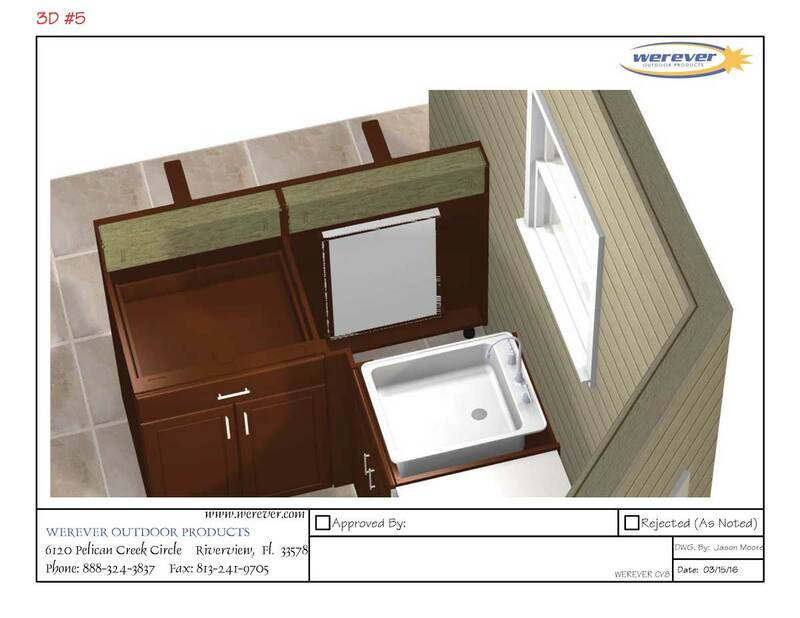 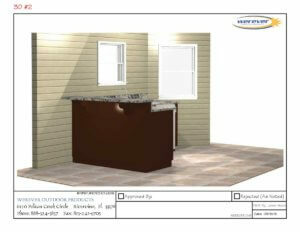 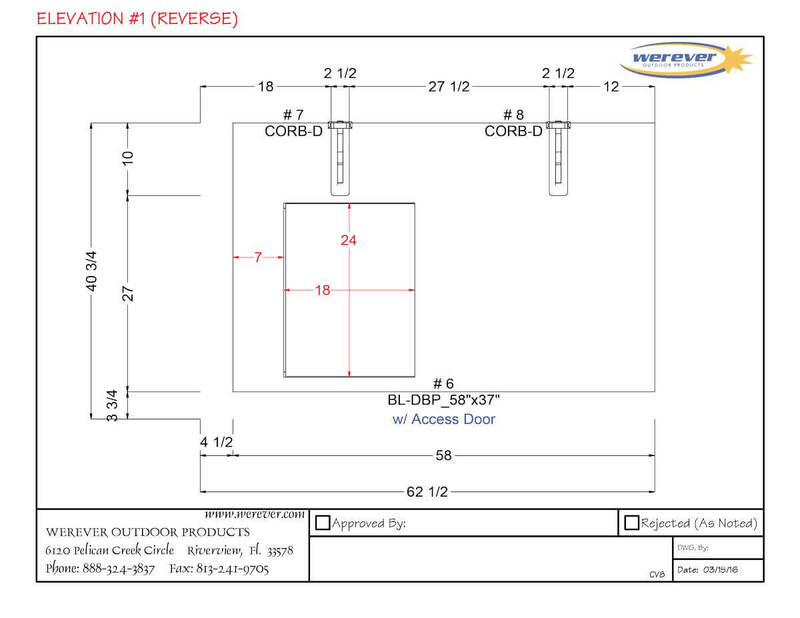 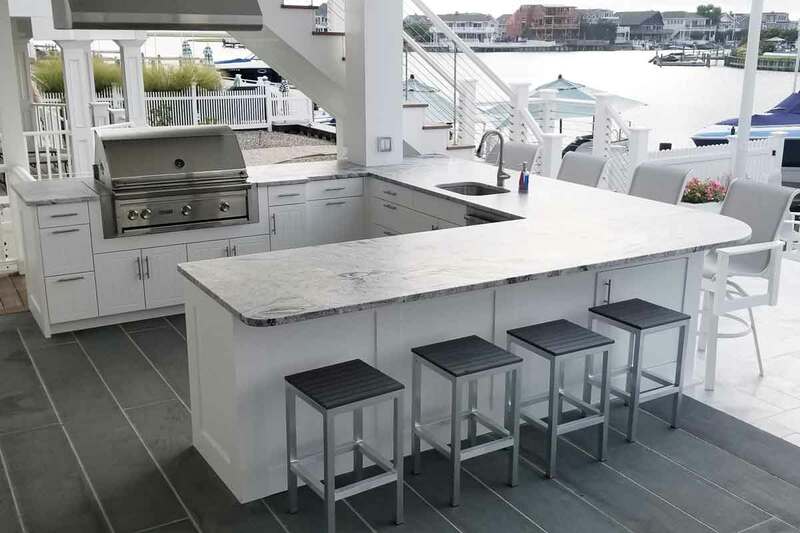 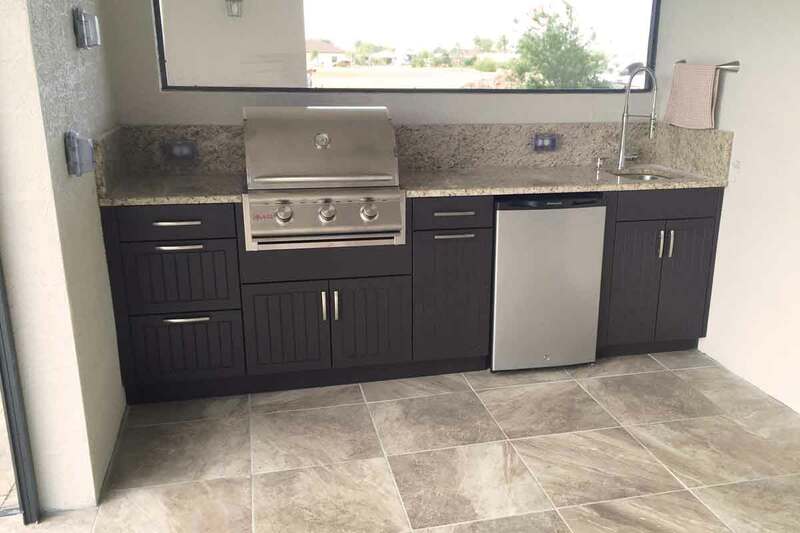 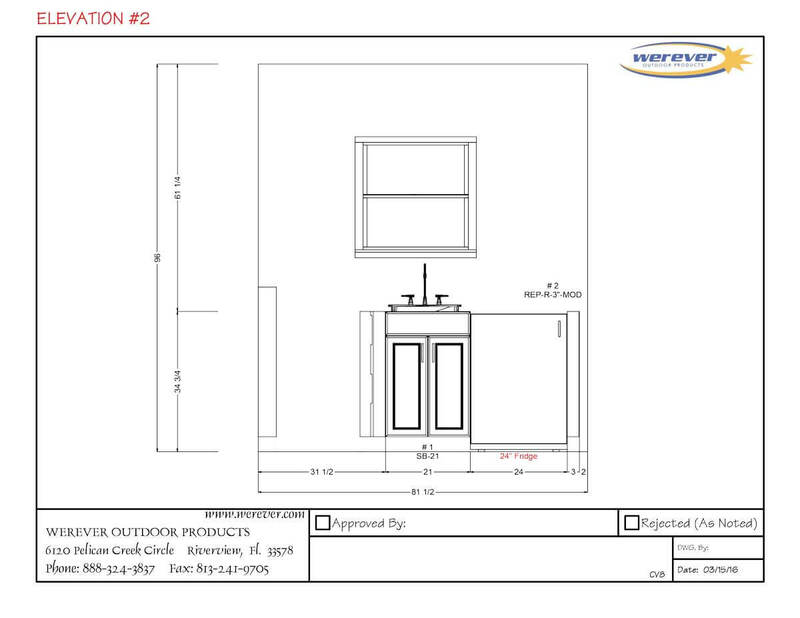 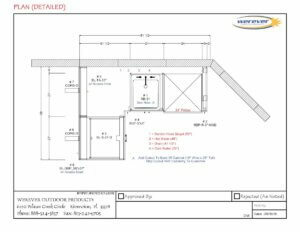 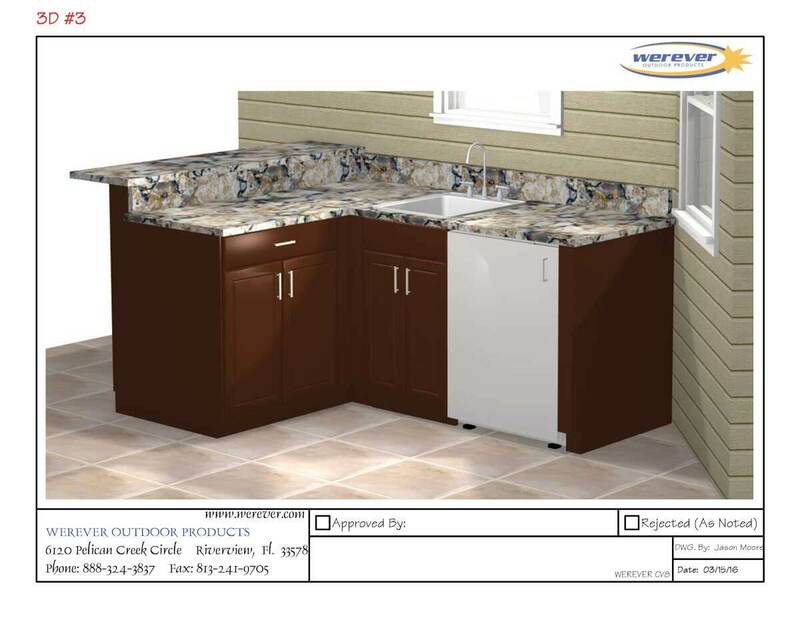 This design was a tricky situation because the customer had a very small area to achieve their dream outdoor kitchen with entertaining area (4’-10” x 6’-7 ½”). 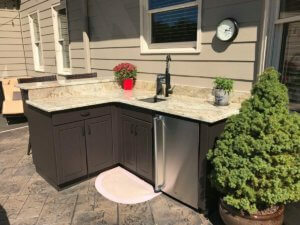 They wanted a bi-level bar seating area with storage, a small bar sink with an undercounter refrigerator. 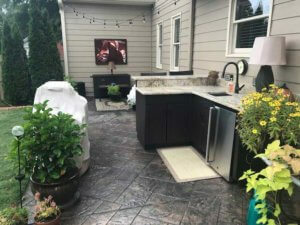 There was also another challenge and that was the garden hose spigot was located on the wall where the entertaining area was to be located. 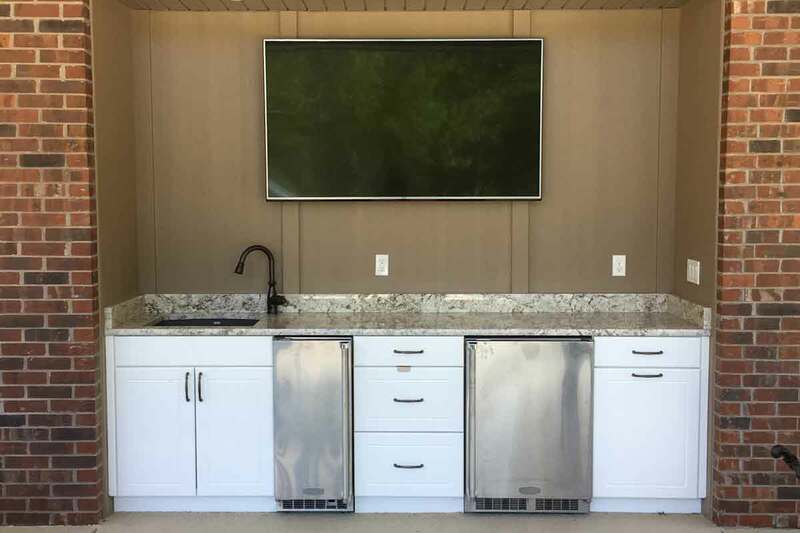 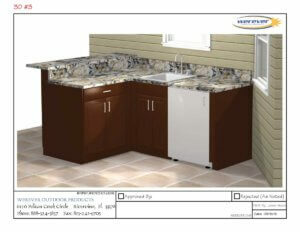 Access to the spigot was to remain available once the outdoor cabinetry was installed. This was achieved by adding an access door to the backside of the bar seating area which would grant access to the garden spigot and even granted enough space to store a garden hose without it being seen when not in use. Corbels were added to the bar seating area to give it a nice, finished look.